Your personal paradise can be customized and be better than you ever imagined! You’ll protect your family from the environment. Debris won’t accumulate any longer in your pool. 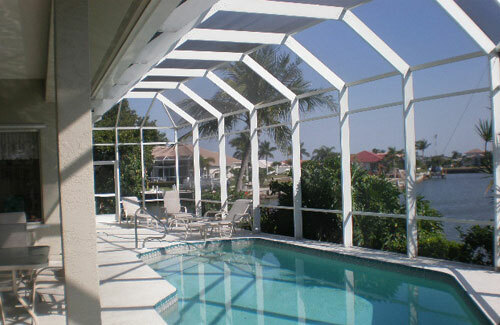 Aluminum-framed Premier screen enclosures require no maintenance. Your pool equipment and furniture will have their life lengthened. Costly pool chemical usage will go down. The square footage of your living area will increase significantly. You increase your security and comfort. You can suntan yourself in the day, and enjoy cool night breezes. Peace and serenity are benefits you’ll experience every day with this addition to your home. You can flow with life’s rhythm and harmony only if you have a place to get away – your own private retreat. Premier designs with the highest quality materials available – we can enhance your patio for maximum comfort and usability so that you can take advantage of all of these benefits!